Who will take care of your family and your financial obligations when you die? Have you made provisions for taking care of your funeral expenses? Who will make up for your charitable contributions to your church or charity when you die? How will your key employees and your family members be protected when you are no longer present to manage your business? Life insurance is the answer to these and many other financial issues. Generally speaking, life insurance may be one of the best bargains in the insurance industry. 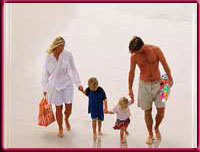 As an independent agent, we have a wide variety of life insurance companies to choose from. Do not be misled into believing that answering a questionnaire on the Internet is an acceptable substitute for a local, caring insurance agent. There are a number of different life insurance programs available, and this variety can sometimes seem confusing and imposing. We can help you decide on the right type of life insurance policy and make important financial plans for your individual situation. Call or email our agency for a free life insurance consultation. Three Rivers Insurancecan tailor the coverages to fit your unique situation. As an independent agent, we can access insurance products from a number of reputable companies. Give us a call today!